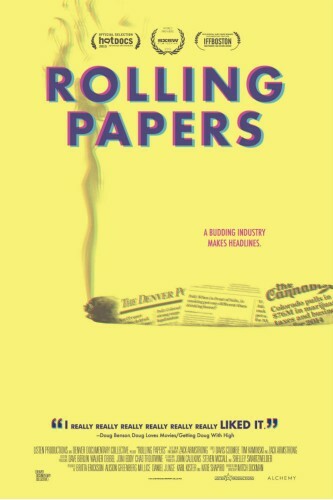 If you’re wondering how to see “Rolling Papers,” the new documentary about legal cannabis and the journalists covering its historic roll-out in Colorado, then you’re in luck. REVIEW: What happens when filmmakers follow the journalists covering legal weed’s debut? The film, which follows Cannabist critics and columnists and Denver Post journalists as they cover the modern world’s first legal marijuana sales, hits theaters and video-on-demand services on Feb. 19. And the film’s distributor, Alchemy, just released a list of the cities and theaters that will be playing the film — as well as the VOD services that will offer the movie for download on the same day it opens theatrically. The Cannabist will keep this list updated as new theaters and services are added. Denver, CO: Sie FilmCenter, 2510 E. Colfax Ave., Denver: 7 p.m. This special, sneak preview will be followed by a Q&A with “Rolling Papers” director Mitch Dickman, Cannabist writer Brittany Driver and some of the film’s producers. Boulder, CO: Boulder Theater, 2032 14th St., Boulder: 8 p.m. This opening-night screening will be followed by a Q&A/meet and greet with The Cannabist’s Ricardo Baca and Jake Browne. Denver, CO, Sie FilmCenter: 7 p.m. This opening-night screening will be followed by a Q&A with director Mitch Dickman, Cannabist writers Ry Prichard and Brittany Driver, and producers. Denver, CO: Sie FilmCenter: 7 p.m. This opening weekend screening will be followed by Q&A with director Mitch Dickman and The Cannabist’s Ricardo Baca.